Dr. Sherman’s Del Mar Cosmetic Medical Clinic is a contemporary and artistically designed facility, conveniently located on the west side of Highway 5 in Del Mar. The office portion, where Dr. Sherman sees patients for consultations, pre and post-operative appointments, and non-surgical aesthetic treatments, has a comfortable relaxing ambience. While his knowledgeable and caring staff makes even the first time visitor feel like an honored guest. Adjacent to the clinic, the surgical suite and recovery area is fully accredited and equipped with state of the art surgical technology. Dr. Sherman’s patients are assured of an excellent surgical experience with patient comfort, convenience and privacy given the highest priority – all the professional features and safeguards of hospital treatment without the added expense and awkwardness of hospital care. Dr. Sherman is certified by the American Board of Facial Plastic and Reconstructive Surgery, the American Board of Cosmetic Surgery and the American Board of Otolaryngology. He performs a full range of cosmetic procedures including facial surgery, breast enhancement, body contouring, and various laser treatments. A wide variety of skin care and rejuvenation programs are available as well. Dr. Sherman’s extensive training and experience in cosmetic surgery give him a noticeable advantage over other providers of plastic surgery who, though board-certified, may have received minimal training in aesthetic or cosmetic medicine. 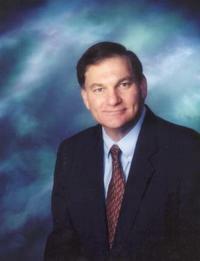 Dr. Sherman’s focus is to consistently provide the very best. This commitment to excellence has earned the practice an ever-increasing following of happy, loyal, (and naturally) beautiful patients. Dr. Sherman’s expertise involves all ares of cosmetic surgery and cosmetic non-surgical medical treatments. While enjoying the whole spectrum of cosmetic surgery, he especially takes pride in his Rhinoplasty and facial plastic procedures. However, his cosmetic practice involves equally activity between Facial Plastic, Breast, and Body Contouring techniques.